Here is our list of best fun things to do in Nassau in 2019! Located on New Providence Island in the Bahamas, Nassau will keep you busy for days with the best Nassau activities ranging from water sports to visiting historical sites and bargaining at local markets. This city with a Caribbean vibe offers fun filled tours for the whole family. Cruise on a catamaran, race on a speed boat, visit an age-old zoo and learn how to make an iconic conch salad and roll an authentic cigar, these tours in Nassau will leave you with a lot of memories and souvenirs to take home. Spend time on a private island soaking up the sun and then head to the beachfront bar for a glass of Rum. Here is what to do in Nassau on vacation - tours and activities! You will never run out of options if you're searching for on-the-water things to do in Nassau in 2019. Choose from a wide variety of sailing and cruising tours in Nassau to introduce you to the best of the Bahamas. Take a 90 minute harbor cruise to discover the treasures, flavors and vibe! Take a boat trip to the lovely Rose Island or charter a private state-of-the-art catamaran for a romantic sunset sail with dinner. Many tours offer the opportunity to dive overboard and snorkel to see the magnificent marine life in the reefs surrounding the Island. A guide will give you a lesson and all equipment is provided. If you are brave, cruise and snorkel with the sharks! If you have a few days to spare, day trips offer fabulous things to do in Nassau. 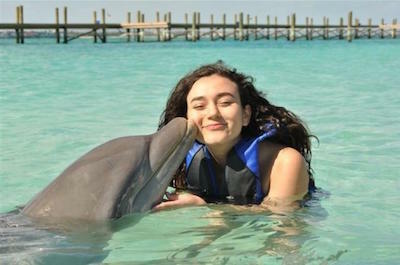 Head for the Blue Lagoon and get up close and personal with dolphins, stingrays and sea lions. You will create lifetime memories! Take a trip on a speed boat to a private island in the Exuma chain where you will feed endangered iguanas and spend time snorkeling the calm azure waters. Enjoy a tour to the beautiful Pearl Island where you need to take pictures of the famous lighthouse or head off to the pristine beaches of Rose Island, or Pearl Island. For those who enjoy the rough, take a 4x4 UTV tour which also includes a flight on a jet pack, the latest craze for adrenaline junkies. One of the most interesting things to do in Nassau for all types of adventure travelers who want to get up close and personal with nature is to take a Swimming Pigs Day Away Power Boat Tour. Your full day adventure begins when you meet your crew and captain at the Margaritaville Paradise Island Ferry Terminal. Once on board the boat you will explore over 150 nautical miles of the Caribbean Sea as you visit four distinct islands. As you travel through the Exuma Cays your expert captain will teach you about all the interesting things you will be experiencing from marine life to Bahamian culture and history to how to interact with nature at each of your stops on the excursion. At your first island stop you will encounter iguanas where you will watch and feed the iguanas in their natural environment. 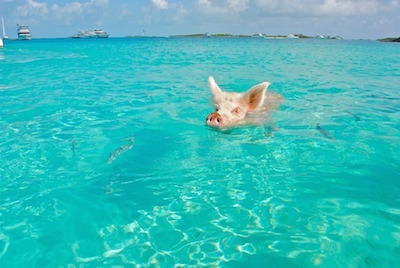 While you are cruising to your next island stop you need to prepare yourself for an once-in-a-lifetime opportunity which includes swimming with the pigs at Big Major Cay. After this exciting activity you will travel to the third island where you will indulge a great Bahamian style lunch at Blackpoint Exuma. From here you will once again sail on the beautiful waters of the Caribbean Sea until you reach Compass Cay where you will have another adrenaline filled adventure with marine life when you get to swim with sharks. When finished you will sail home and be dropped off at the Margaritaville Paradise Ferry Terminal where your tour will conclude. If you don't know what a Conch Salad is, learning how to make this National dish is a definite thing to do in Nassau. Your guide will show you how to remove the fish from its hard shell and slice up the ingredients that make up this iconic meal. Wash it down with some famous Rum! Take a Pirate Tour to a brewery to learn about hops and the brewing process. Throw in a Graycliff Chocolatier Tour for those with a sweet tooth. Party the night way on the Lukka Kairi dinner package tour where you will sample the flavors of the island and then try out the fabulous wines as you bar hop with friends on a private nightlife tour. ATV and off-road tours offer a fabulous thing to do in Nassau. Explore the Island and discover history in this beautiful setting. The Summer Sunset Jeep Tour takes you on a 4x4, through the town, passing famous venues like St. Francis Xavier Cathedral. Then hit the beach and after zooming around you can relax, swim or snorkel. 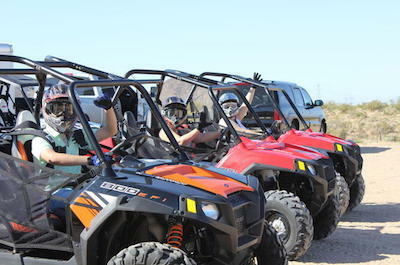 For the adventurous, enjoy a 4 hour UTV trip to the leisure park. See the remains of slave villages, wetlands, lovely nature trails and caves. End up on the beach where you will have lunch and then snorkel to see stunning underwater gardens, sculptures and hidden treasures. Tours are made extra special by knowledgeable and humorous guides who will keep you entertained. Catching that big one is an exciting thing to do in Nassau. The ocean is filled with magnificent sea-life and charters and tours will cater for your every need. 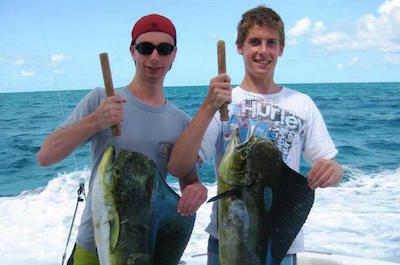 Enjoy the half-day fishing charter on a 35 foot Allman boat. Learn how to do deep sea fishing and light tackle fishing on the reefs. A snorkeling charter will have you mesmerized at the stunning marine life of corals, sponges and colorful sea creatures. Serious fishermen can join the private 8 hour charter into deep water on the 48 foot Chris-Craft Boat. Toss the lines and wait to catch a wahoo, yellow fin tuna or a mahi. Your guide will make sure you are fully briefed, making this tour suitable for newbies and professionals. After your fishing trip, discovering nature and wildlife is the next thing to do in Nassau. Take a tour to the Blue Lagoon where you can fulfil a lifetime dream of swimming with the dolphins. Touch, kiss and dance with them and have a fabulous foot-push. Expand your trip to include the amazing stingrays and sea lions. If you prefer to be on land, enjoy a Full-day Bird Watching Tour on Paradise Island. Explore the wetlands, forests and seashores to spot different species that inhabit these regions. Enjoy a picnic lunch while you look through your binoculars. For a full experience, take the Private Nature Charter. With only 6 people on board, this is an exclusive way to learn about the wildlife of this magnificent Island. Looking for an idyllic thing to do in Nassau? Take a day trip by boat to the remote Rose Island, a tropical paradise of crystal-clear waters, endless beaches and stunning underwater coral reefs. Swim, snorkel, walk and soak up the sun. 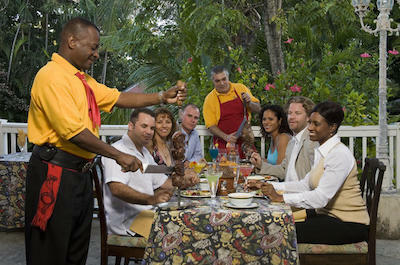 This tour in Nassau includes a scrumptious buffet lunch and a welcome cocktail. Nature lovers can explore the trails and sports enthusiasts can play a game of volleyball or take a kayak out onto the water. 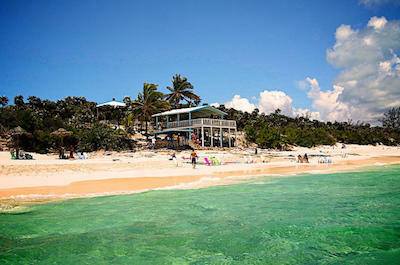 Snorkel to discover the amazing marine life and then enjoy some laid back music and a snack at the beach bar. Have a snooze in a hammock under a palm tree before cruising back to Nassau. 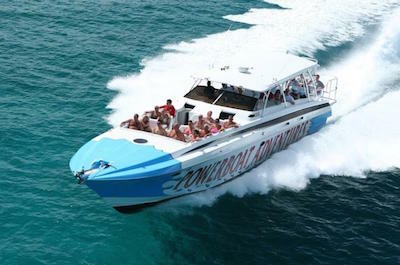 Combining a power boat cruise with a trip to a tiny island is the next thing to do in Nassau. 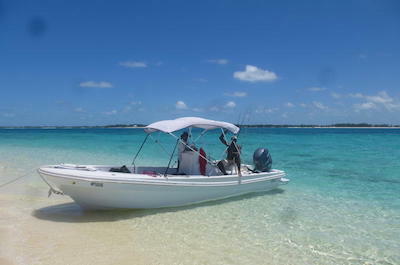 The Exuma Powerboat Adventure takes you to your own private island in the Exuma Chain. Only two miles long and half a mile wide, this exotic destination offers a chance to relax, unwind and rejuvenate your soul. Soak up the sun on the beach or take a long walk. Allow your guide to take you snorkeling to see magnificent colorful marine life on the reefs. Enjoy a lunch banquet of chargrilled steak, dips, salads and platters of exotic fruits. A fresh Conch Salad prepared while you watch, finishes off the meal. Enjoy and sip some famous rum. You will never be short of things to do in Nassau. There is a huge array of exciting tours that will take you sightseeing to enjoy this magnificent Island. Start with a Cigar Rolling Lesson where you will become an expert and return home with a certificate! Take a Scooter Tour in Nassau through the streets of Nassau and then out into the country to see the stunning scenery and historical landmarks. For something different, enjoy a kayaking tour on Bonefish Pond where after paddling around you will learn how to make conch fritters. For a rougher ride, explore Nassau in a 4x4 UTV, see the main sights like the Greek Orthodox Church and Graycliff and end your day enjoying an exclusive sunset dinner on a secluded beach. 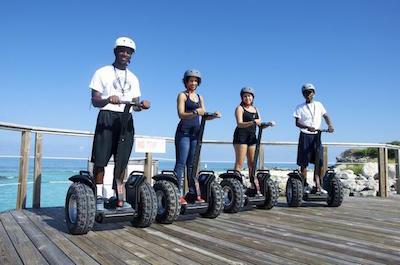 Riding on a Segway may not be on your list of things to do in Nassau, but reconsider! This fun and exhilarating way to explore is ideal for the whole family. Join the Blue Lagoon Segway Safari Tour where you set off on a boat to the magnificent Blue Lagoon Island. Then have a lesson and safety briefing on how to drive your Segway PT. Get geared up and set off. Follow your guide and visit the famous sites, both man-made and natural. Test your driving on the skill-challenge and then head for The Tower where you will have panoramic views over the Island. You will be given a professional photo of yourself on the Segway to take home to show off! 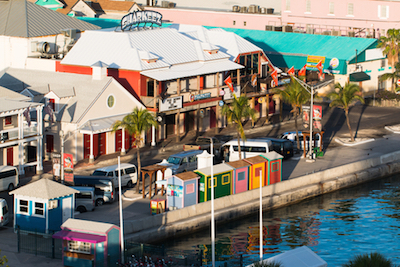 If you are in the mood for a stroll, there are many things to do in Nassau on a walking tour. Discover fashion, hand made souvenirs and shop up a storm on a Guided Shopping Tour. Your guide will take you to the hot spots where bargaining for delightful goods is the order of the day. Then discover history and culture on the Historical Walking Tour which takes you past the main attractions. 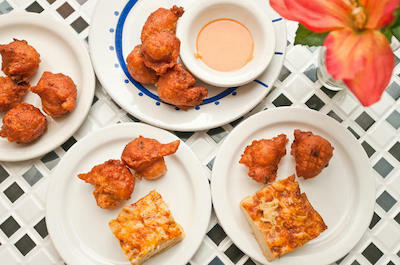 Foodies will love the Rum and Food tour, where you get to visit local eateries and taste the traditional offerings. For some family fun, join the Scavenger-Hunt and use maps to find venues and answer questions, winner takes it all! 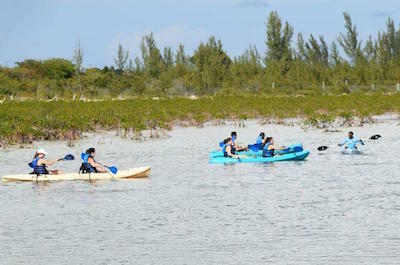 Kayaking is a relaxing, family-bonding thing to do in Nassau. A fabulous tour in Nassau takes you to Bonefish Pond National Park where you will have a lesson and get geared up. Follow your guide down the river in your kayak and learn about the natural environment and the wildlife that inhabits this region. Kayaking is safe and easy and your guide will be with you all the way. After you have worked up an appetite, head for the shore where you will have a fun lesson on how to make Bahamian fritters using coconut, guava or conch! Soak up the scenery and ambiance before returning back to your hotel. Wondering what things to do in Nassau that will make your knees shake and get your heart pumping? 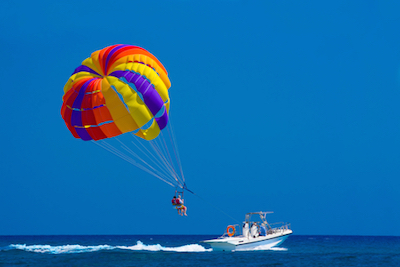 Try the Parasail Over the Cabbage Beach Adventure! Take a partner and get strapped into a double parasail. You will be safe and secure with a harness. After a briefing your boat will leave and you will be sailing 500 feet above the water, looking down on the most amazing scenery. Keep your eyes open and enjoy! The crystal turquoise waters stretch for miles, the white beaches are endless and the tropical forests contrast in a stunning green. Take your camera along for once-in-a-lifetime shots and experience these best Nassau activities. If you want to explore the reefs and wrecks of the Island, then scuba diving is the thing to do in Nassau. Beginners can take the Resort Diving Course and learn all about scuba diving, A knowledgeable guide and all equipment is provided and you will soon be on your first dive exploring the stunning marine life and coral reefs. Certified divers can explore the most renowned reefs in the world. Dive as deep as 6000 feet along the wall and swim into the famous 100 foot freighter known as the James Bond Wreck. Bring your certification card along at time of check-in. Prefer to remain on top of the water? 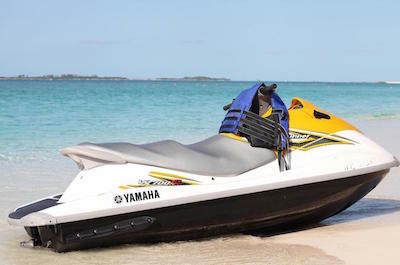 Then the best thing to do in Nassau is take a Jet Ski Adventure. The tour will collect you at your hotel and drive you to the beach. You will have a lesson and safety briefing and soon you will be flying over the water in a high-speed adrenaline rushing adventure. Travel alone or with a partner. The competent water sports guide will make sure you are safe at all times. This thrilling ride will make you want to come back again and again. End your day at the beach cafe sipping a local Rum. Too nervous to try scuba diving? Don't worry! Snorkeling provides an equally fabulous thing to do in Nassau to explore the magnificent marine life under the water. This relaxing and easy-to-do activity is ideal for the whole family. 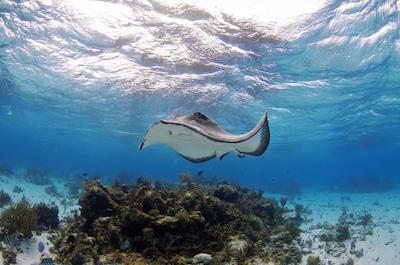 Join a tour on a sailing boat that takes you to snorkel on the magnificent reefs. See the corals, sponges, colorful fish and stingrays. Go to a private island on the Exuma chain and snorkel with friends and family. 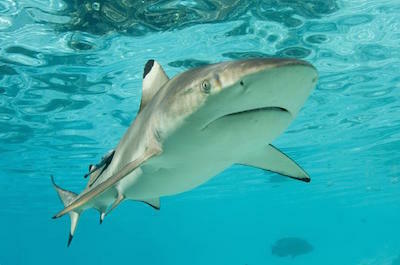 For the brave, enjoy snorkeling with sharks, where you can get up close and watch them in their natural surrounds. For some extra fun combine a snorkeling trip with a UTV ride, a super fun Nassau activity! 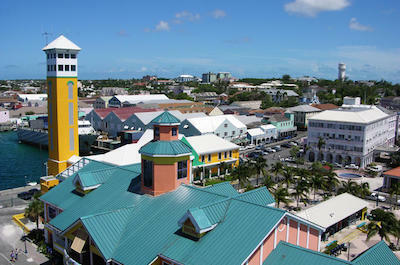 One of the most exciting things to do in Nassau is to learn about the rich culture of this exotic Island. Start with a lesson in cigar rolling! Become an expert and roll your very own Graycliff Cigar, take it home to boast with a certificate and a cigar cutter. Discover the famous Rum distilleries and sample some on your tour. Culture abounds in the local foods and a walking and tasting tour through downtown will delight the food lovers. Explore the Heritage Museum which offers a stunning exhibition from prehistoric times to date. Then take the amazing Blast From the Past tour and see the Pompey Museum, Rawson Square, the Sir Stafford Sands Fountain and Parliament Square amongst many other famous sights and many other Nassau activities! The Rum and Food Walking Tour is a great thing to do in Nassau that combines the beauty of the city with tremendous food and drink. Your 2.5-hour excursion has several departure times during the day and begins when you meet your friendly guide at a predetermined location in Nassau. Your first stop will be at the Smuggler’s Beer Garden where you sample the finest rum in Nassau. As you walk the streets your professional guide will inform you about the interesting architecture and pirates that inhabited Nassau 300 years in the past. Your rum and food walking tour continues with several more stops that will include more tastings a light snack of Bahamian conch and lobster fritters, rum-infused cake, a special caramel truffle shot and of course a rum-filled cupcake. Your last stop of the day will be at the John Watling’s Distillery which is located at Buena Vista Estate where you will learn about the rum making process and view the distillery. Your rum and walking tour concludes when you finish at your predetermined starting location in Nassau. 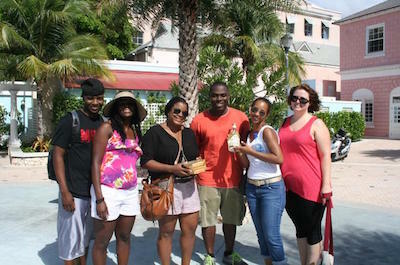 Food Tasting Tours are a fantastic thing to do in Nassau when you want to experience the splendid flavors of the islands. Food tasting tours are an excellent choice for many reasons including innovative cuisine, a social atmosphere and for a sample of rum as well as history. Food tasting tours will leave your taste buds jumping for joy as you devour a conch salad, homemade chocolate and other Caribbean-style cuisine. You can decide to follow a guide to several restaurants for sampling which includes a narrative of the history of Nassau or you can decide to ride a bus from stop to stop while you enjoy the delicious offerings of Nassau. Food tasting tours in Nassau are interesting, laid back and filled with fun facts that will leave you with lasting memories of the cuisine, rum and chocolate. When you are visiting Nassau one of the more unique things to do in Nassau is to join one of the many dining experience tours. You will be amazed at how much fun, romance and culture you will find on a dining experience tour. These excursions will take you to new gastronomical heights and range from cooking demonstrations and 5-course meals to a Brazilian feast that includes exciting cuisine and caipirinha to a romantic dinner package at Lukka Kairi. Dining experiences in Nassau have a wide range of atmosphere from laid back jungle to sophisticated fine dining to superb beachside adventures. So, when you are interested in learning about new cuisine from the world, then put on the feed bag and attend an exciting dining experience tour in Nassau. 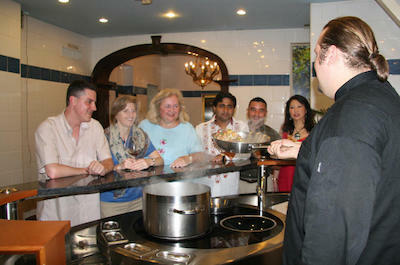 Why don’t you try a cooking class when you are looking for things to do in Nassau? Cooking classes are great way to meet locals and learn about the history of Nassau while qualified chefs prepare spectacular meals for you to devour. Private home cooking classes are perfect for teaching you about the intricacies of local Caribbean-style cuisine in a relaxed setting. Other cooking classes in Nassau include visiting famous restaurants like Graycliff and actually preparing your 5-course meal with a respected chef from the island. So when you want to learn about the culture of Nassau there is no better way to find out than through a cooking class in Nassau. When you want some lively action, then the thing to do in Nassau is go on a Bar Hopping tour. Bar hopping tours are a great way to release some energy and learn about the culture by visiting establishments that serve quality island libations and culinary delights. Bar hopping tours in Nassau include exciting stops at places like Senor Frog’s where you can choose from many different packages to an exciting nightlife bar hopping tour that will stop at four unique Nassau nightclubs and bars. Whichever you choose you can be assured of dancing, drinking and a fantastic time as you bar hop in Nassau. Making a special dream come true is another thing to do in Nassau! Swim with the dolphins and create unforgettable memories. Take a tour in Nassau to Blue Lagoon Island where you can enter the water with a guide and be enthralled by these friendly creatures. Kiss and cuddle, swim, dance and get pushed along with a 'foot-push'. Feed the dolphins and take part in the interactive program. Your guide will thrill you with details of their lifestyle and the behaviour that makes them so special. For something really unique, take a private tour, exclusively for your family or group. Get those unforgettable pictures to take home and display for all to see! If you are looking for an adventurous thing to do in Nassau, shark diving is an action-packed must! Serious divers are invited on a 2-tank dive program into the depths to meet and interact with these magnificent creatures. Experience the diving sites called the Shark Wall, the Runway, the Arena and the Shark North Wall, all iconic venues. A knowledgeable guide will be with you at all times. Dive and allow the sharks to circle around you waiting for food, you won't be the meal! Then dive and join your guide and other divers in a circle where a bait box is placed on the ocean floor to attract the sharks. 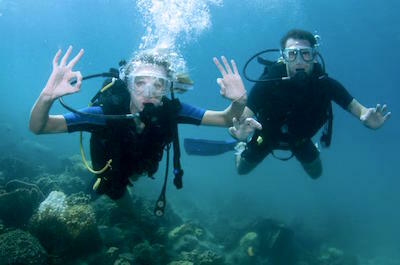 You must be certified diver to take part in these tours.